It is with great sadness that the family of Edward “Ed” Riley announces his sudden passing on Friday October 26, 2018 at the age of 55. Ed was born in Columbus, OH to his parents Edward Riley and Linda Ryan on July 17, 1963. Ed loved hiking, camping, fishing, the beach, karate, baketball & football... an avid Steelers fan. Ed would also love to take long walks with his canine best friend, Spirit. Ed was active in boy scouts and his church, Christian Life Fellowship. He enjoyed holding the position of Scout Master for Troop 8700 for several years and all the close friends in the Troop 8700 family. He also enjoyed serving in the church and the bonds with his church family. Ed loved God and took every opportunity to share the Faith, Hope and Love he had in Jesus. Ed also served his community as a business owner of Jerry’s Carpet & Upholstery Cleaning, servicing Lee and Collier counties. 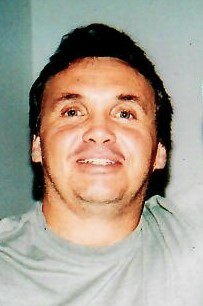 Ed is preceded in death by his mother, Linda Riley and daughter, Amy. He sadly leaves behind his loving wife, Jane Riley; Father, Edward Riley; Children, Bobby, Christine, Amber, Justin, Jacob and Dustin; Siblings, Sherry, Theresa, James and Timothy; Grandchildren, Jonathan, Jazmine, Makayla, Gavin, Royce and Georgia. We send our deepest condolences to his loved ones during this difficult time.